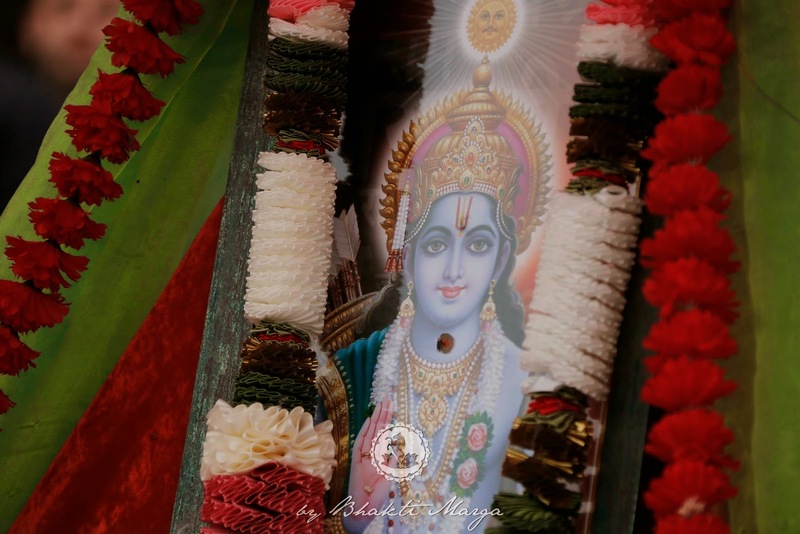 On the auspicious day of Ram Navami we celebrated the birthday of Lord Rama. 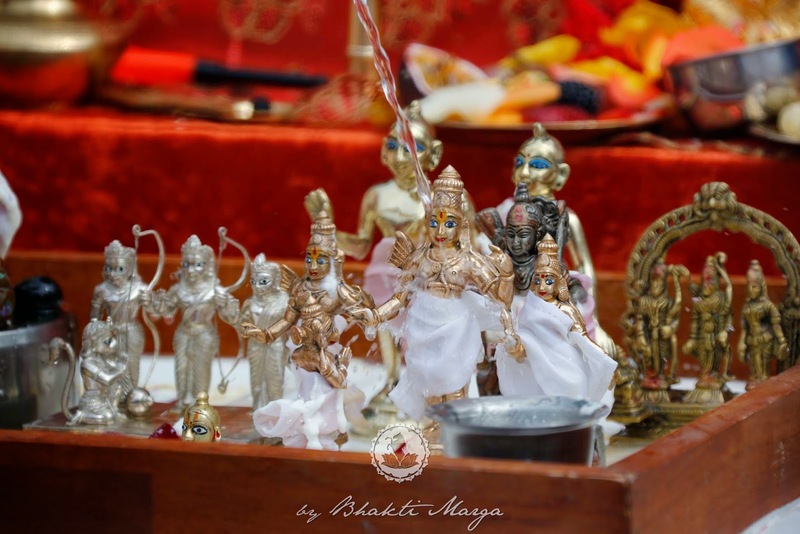 Lord Rama was the epitome of Love and is considered to be the perfect human being. 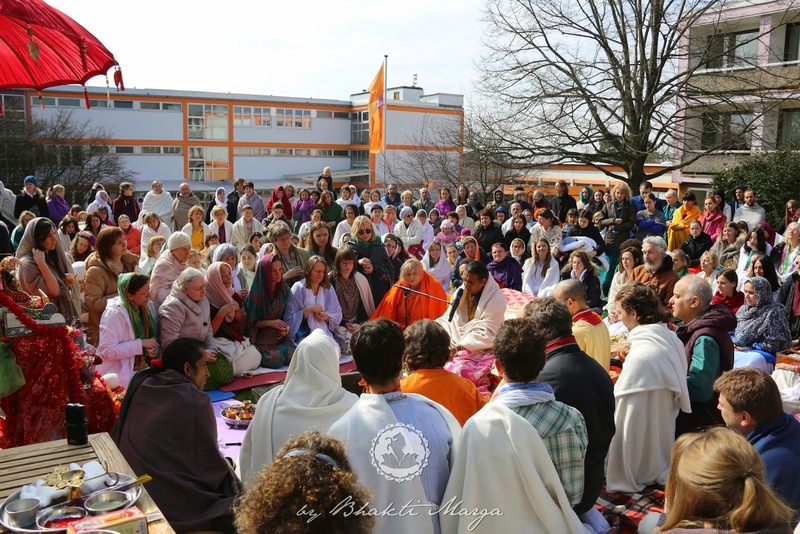 He came to show all humanity that one must follows one's dharma and duties in life perfectly and accept the will of God in all aspects of one’s life. 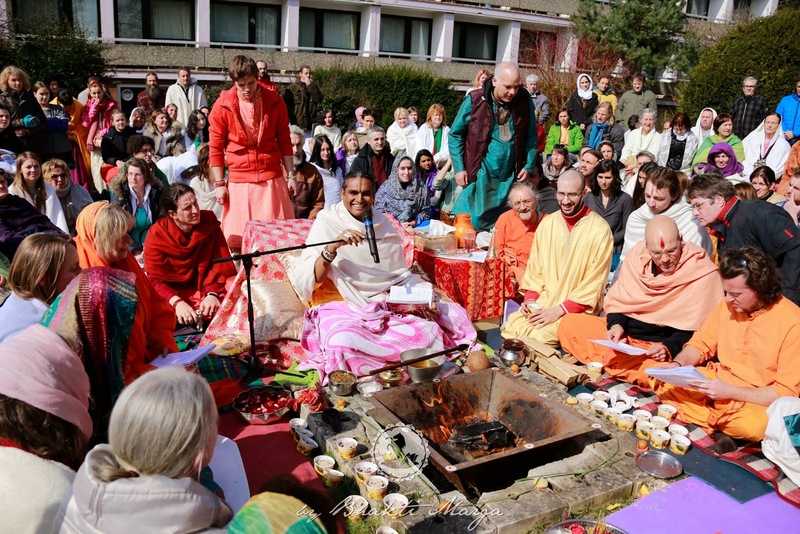 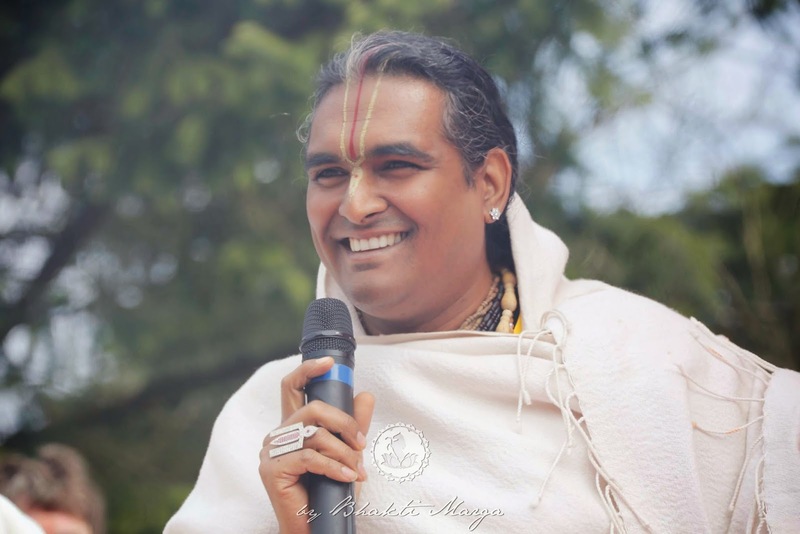 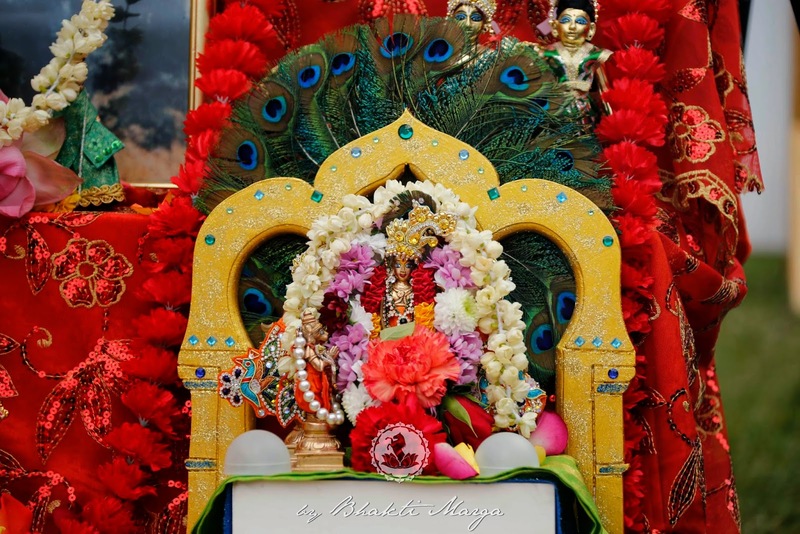 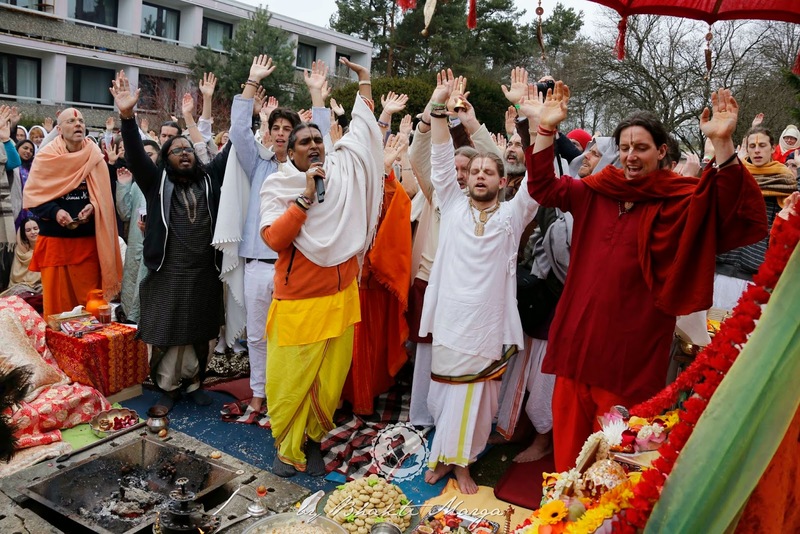 Sri Swami Vishwananda conducts a yagna (fire sacrifice) dedicated to Lord Rama. 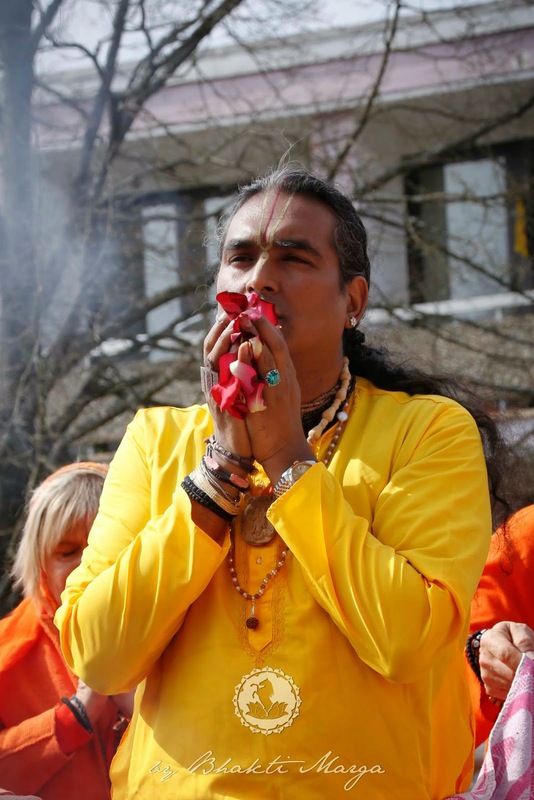 After the yagna had ended, Swamiji gave a talk about Ram Navami that included a shortened version of the Ramayana, and the symbolism found in the life of Sri Ram. 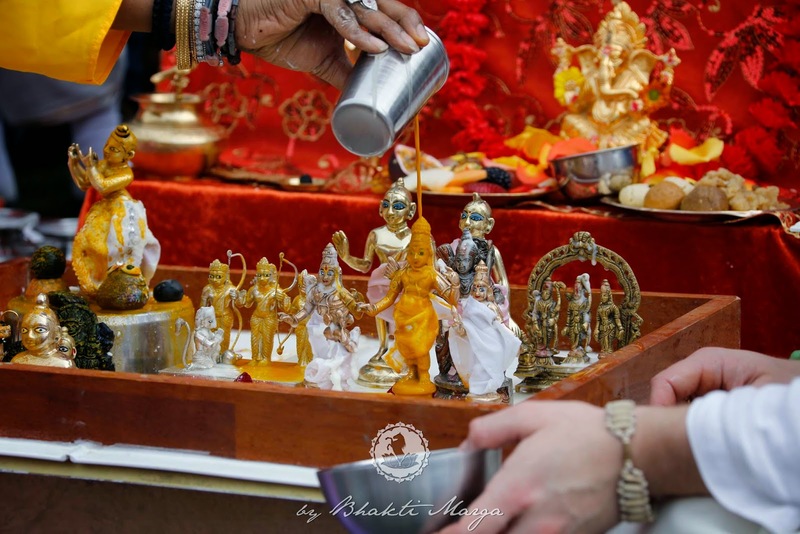 Next came a puja and abishekam to Lord Rama, Lakshman, Sita Devi, and Hanuman, as well as other deities. 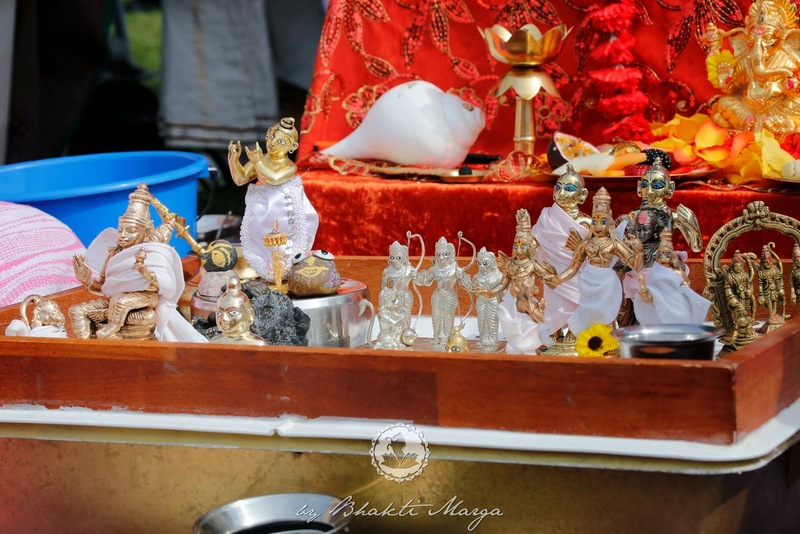 Lord Rama receives a water bath. 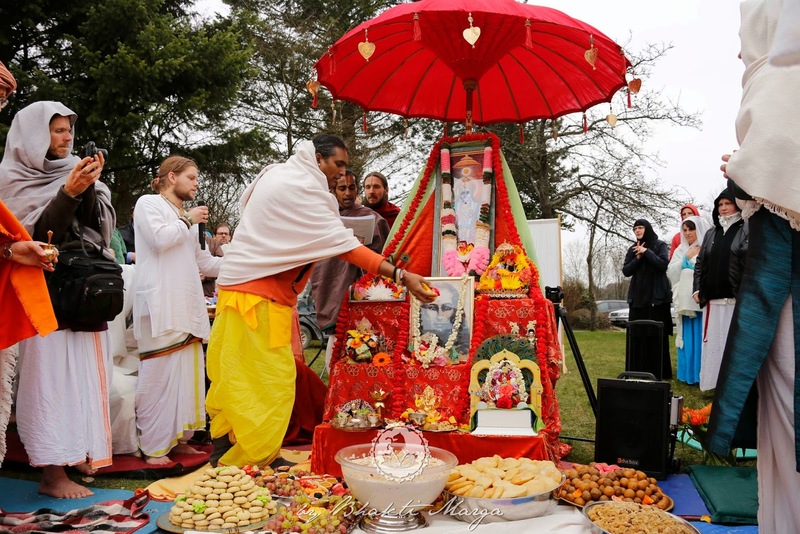 Swamiji offers flowers and prasad to Lord Rama.